Home / Blog / Do Personal GPS Trackers Really Keep People Safe? Keeping an eye on your family can be difficult at times, but modern technology has made the job easier for all of us. 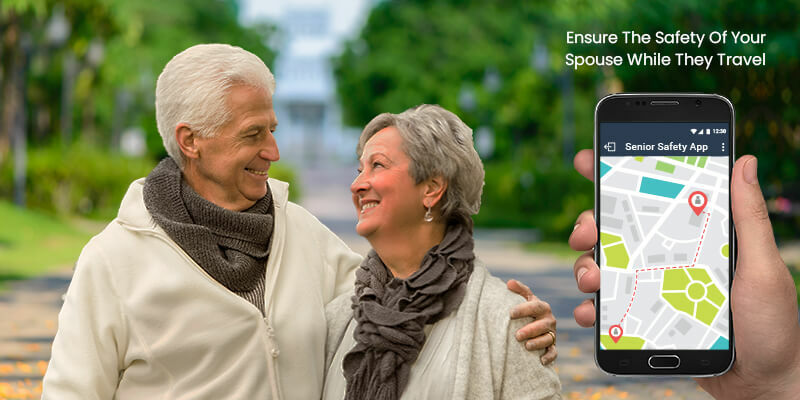 There is now a wide range of safety apps such as GPS tracker for seniors or senior GPS tracker that use a GPS signal to pinpoint precisely on a smartphone map the location of your loved one. And not just location, these GPS trackers offers many more features to help you increase the safety of your family members. Senior GPS tracker helps to keep track of your elderly members, helping them to live a confident, independent life while reassuring you about their safety. With a GPS tracker for seniors installed on their phone, you can ensure where they are in real-time, helping you to nip your worries in the bud. Also, such apps provides you a host of features such as Fall Alert, Location monitoring with Geofence alerts, Inactivity Tracker, App Usage & Location Logs, Low Battery Alert, and much more. There is nothing more important in your life than the security of your family, and any extra measures we can take to ensure their safety are worth it. No matter how well you have taught your kids about what is right and what is wrong- the truth is that they are eventually kids, and lack a deeper maturity that can only be acquired after a certain age. Fortunately, technology allows you to be in control of the situations that are beyond your power and lets you intervene when you think it’s necessary. A GPS tracker is a great way to keep an eye on your child’s location and keep them safe from any unwanted influences. The security of your spouse has increasingly become a concern in a world with growing traffic problems and road accidents. By installing a GPS tracker in your spouse care, you will be able to know the exact location to send emergency help if something unfortunate was to happen. A GPS tracker can help promote safety and security, and you can ensure that your spouse receives assistance when he/she needs it most. In addition to this, there are thousand other ways you can take advantage of sophisticated GPS trackers, such as senior GPS tracker or kids GPS tracker. There is nothing more important and precious than keeping the ones we love safe.